Here is a set of two-digit with regrouping scoop/task cards. These cards are perfect for center work and for playing Scoot. 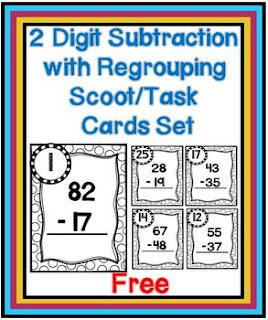 These cards are perfect for center work and for playing Scoot.